Georgetown University is a profitable market for lab suppliers working to sell scientific equipment. In 2013, the National Institutes of Health awarded Georgetown University $47.9 million in science research funding. (NIH) To help you learn more about the funding available at Georgetown University, we have put together a list of the top 10 life science projects funded by the NIH over the past three years. Promising advances in scientific and medical knowledge take place on a daily basis in the labs of Georgetown researchers. Just recently, researchers at Georgetown University conducted a study that is the first to explain a common resistance to a certain type of malarial drug. Malaria killed more than 650,000 people in 2010. In many regions, resistance to malarial drugs accounts for a threat to more than half the world’s population. The researchers discovered that autophagy, a process by which cells remove damaged parts of themselves to regain normal function, was linked to resistance of malarial drugs. 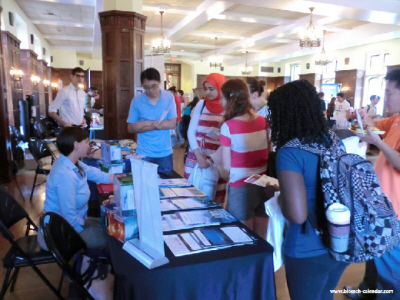 If you are interested in selling scientific equipment and increasing research product sales in Washington, D.C., Biotechnology Calendar, Inc. invites you to exhibit at the progressive Georgetown University science research marketplace. Our Washington D.C. BioResearch Product Faire™ Event will take place on March 12th, 2014. Boost your vendor show sales by exhibiting with the best. Spaces are selling out fast. Biotechnology Calendar, Inc. is a full-service science research marketing and events-planning company that organizes life science marketing events at top research institutions across the country. If you are interested in increasing your vendor show sales and research product sales at events in another region, we encourage you to view our 2014 calendar of events. 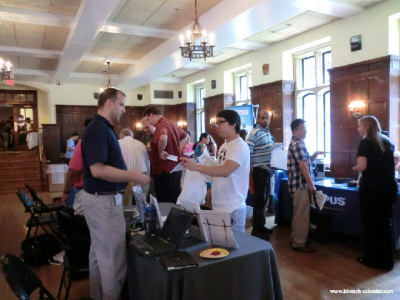 For more information on the Washington D.C. BioResearch Product Faire™ Event, or to get Georgetown funding statistics, click on the button below.